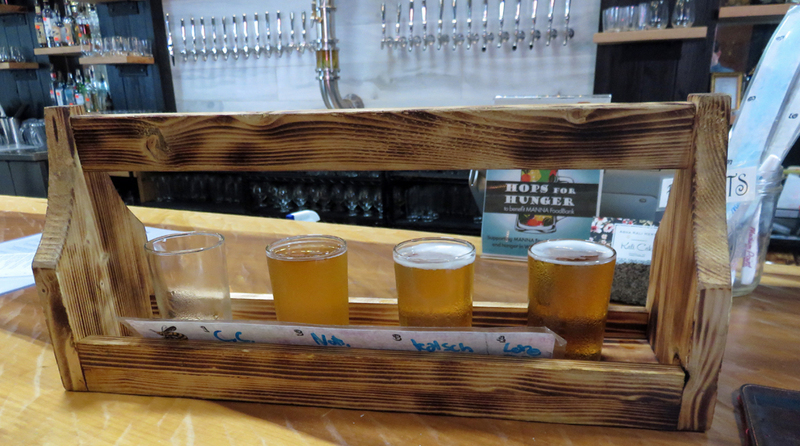 Bhramari Brewing Company is the Bee’s Knees – Why Am I Not There? One of the best things about traveling is day-drinking. There’s no work to be done, no social obligations and depending on where you are in the world — everyone is doing it! Bhramari Brewing Co. acts as a sort of gateway from downtown Asheville to the lower warehouse area that houses many of the breweries and funky eats. One block up is the edge of downtown and if you look out the front door, you can see Wicked Weed to the left and Hi-Wire to the right. Bhramari is the Hindu Goddess of bees. Thus, a lot of their beers are honey-based, but mostly they like to focus on getting local ingredients for their beers. One the boiling hot day I visited at noon, I parked my sweaty bum on a stool in full line of the fan and free from the beating sun. It’s an airy taproom filled with wood, golden colors and fun-bar eats. 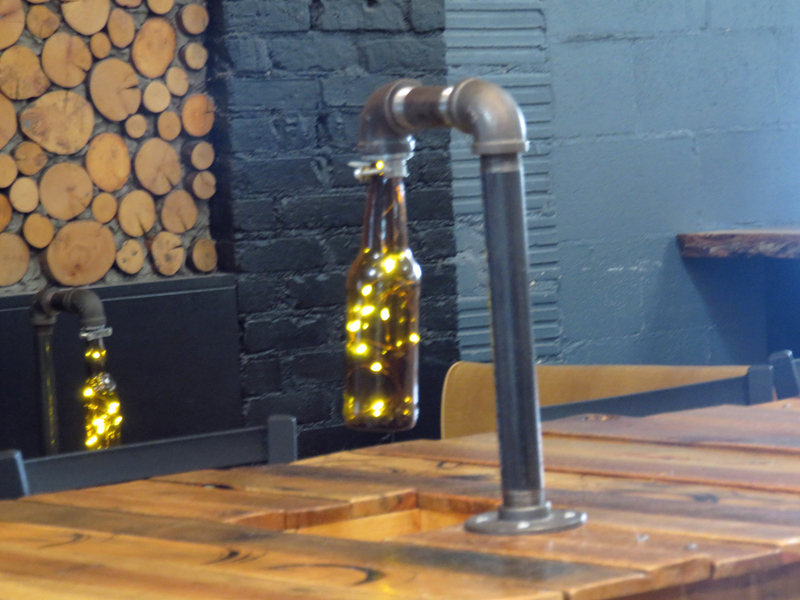 Check the light fixtures which are beer bottles filled with string lights.